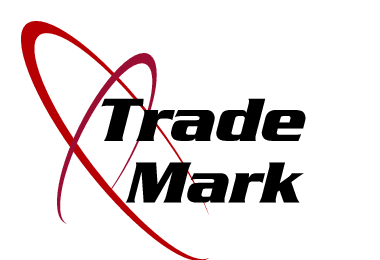 A trademark is a distinctive characteristic or attribute. What is your distinct characteristic or attribute? What are your distinguishing qualities? There are positive and negative CHARACTERISTICS in everyone. The Apostle Paul was so annoyed with them that he addressed it personally to them. The word “unseemly” means rude. This TYPE of person is tackless or thoughtless. Do you offend your spouse? Are you courteous and show good manners toward your SPOUSE? When it comes to your spouse’s feelings do you try to be sensitive? Do you put yourself FIRST or do you put your spouses interests first? Love doesn’t keep track of wrongs. Don’t keep track of your spouse’s SINS. Is your language to your spouse harsh and brutal? Did you PASS God’s high-level love test? If you asked your spouse if you acted like an irritable person would his/her response be, very rarely? Is your trademark that you FORCE yourself on your spouse and other people? Love doesn’t elbow it’s way into conversations. A rude man would never open the car door for his wife. He said, “She doesn’t have two broken arms.” She died and at the burial the husband was standing by the funeral car where his wife’s casket lay. The funeral director asked the husband, “Open the door for her, will you?” As he reached for the car door, he realized he had never opened the door for her in his life. In her death, it will be the first, last and only time he would do that for her. He ended up living a life of torment and regret. I can’t begin to tell you the amount of times I have talked to wives who have so many regrets after their husbands have left home or died. Did you pass God’s love test in 1Corinthians 13. You can CHANGE your trademark today! Let the Holy Spirit give you a godly trademark. NOTE: Don’t miss tomorrows post with new insights to make your marriage a success.